Thuli Gogela of www.mzanzistylecuisine.co.za fame is one of my favourite food writers. 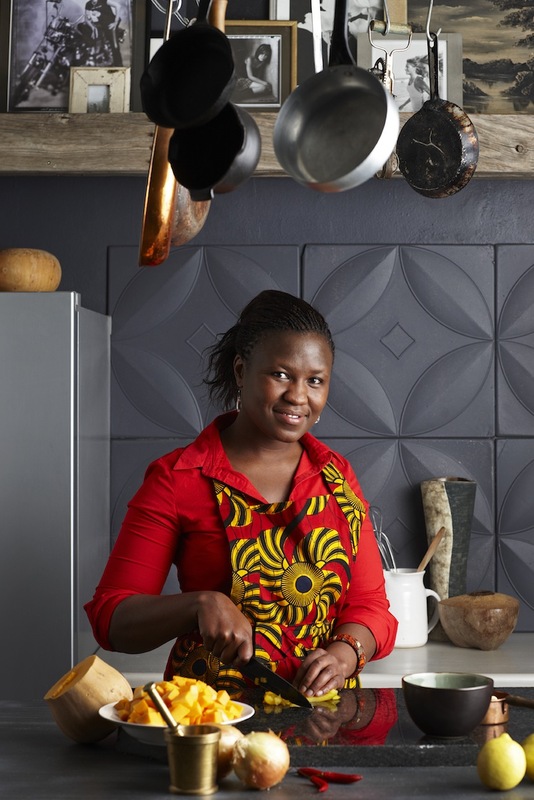 She writes of true South African Cuisine, the cuisine of the people. A former food technologist and product developer, she has a fine touch with food. Do visit her website. Here she re-interprets one of the country’s favourite foods, with a healthy dose of wit and style. Her boerewors balls, made with the meat taken out of its casing and flavoured with tomato, chutney, a dollop of sour cream and some other delicious extras, marry local flavours in a fresh, original and classy way that’s hard to resist. 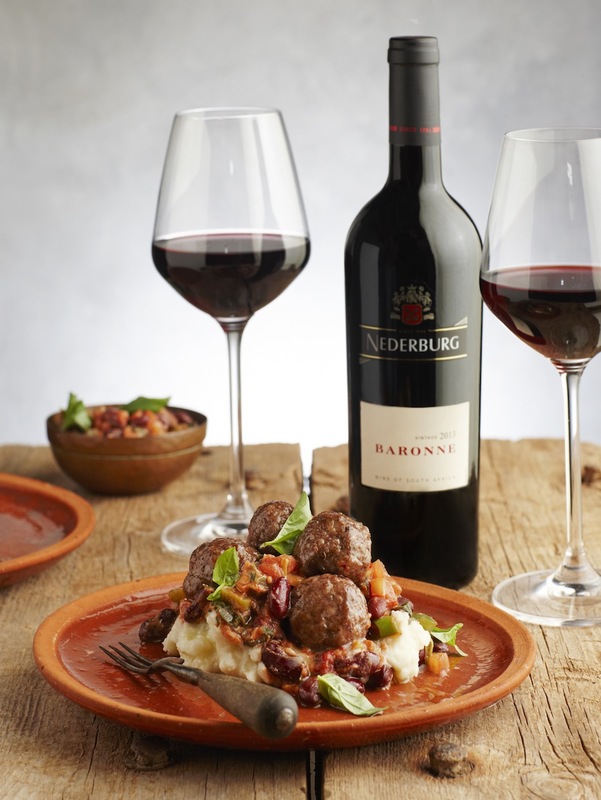 Serve it with lusciously juicy and spicy Nederburg Baronne 2013, South Africa’s classic red blend that’s in a class all of its own, and you’ll make a truly memorable meal. In a bowl, combine the boerewors and breadcrumbs. Form balls and place them on a greased baking tray. Bake for 10 to 12 minutes. Remove from the oven and set aside. In a medium sized saucepan, heat the oil on the stove and sauté the onion, garlic, pepper and chilli for approximately 2 minutes. Add the tomatoes, tomato paste, sweet and sour sauce, chutney, red wine vinegar and sour cream. Add the stock cube, fresh basil, dried herbs and beans. Add water if necessary. Stir and cook for 2 minutes. Gently add the boerewors balls and adjust the seasoning according to your preference. Remove from the heat and serve on a bed of mashed potatoes, pap or spaghetti.